Commercial property developer Knight Property Group celebrate The Capitol’s ongoing success this week after bringing home the building’s fourth award. Since reaching completion in April last year, the £35 million project has been awarded a number of high calibre awards, with the most recent being Business Council for Offices regional Commercial Workplace of the Year and OAS Awards Best New Build outside Central London. “Three years ago Aberdeen was at a high, with the barrel of Brent crude oil sitting at record breaking levels the city was thriving and the lack of city centre Grade A office space enticed tenants to the suburbs of the City. This in turn had a negative effect on the City Centre and contributed to the demise of Union Street, leaving a vast number of units empty and over time areas became a derelict eyesore. It was a brave move for Knight to continue with the project, aware of the tough market they were facing due to the Oil and Gas downturn within the area. In addition to the building itself, Knight Property Group have also been recognised by Scottish Property Awards for City Centre Regeneration Project of the Year which celebrated the positive impact that the redevelopment of The Capitol had on Aberdeen City. James Barrack, Knight Property Group Managing Director comments, “The aim of The Capitol redevelopment was to bring new life to an iconic but derelict building and to kick start city centre regeneration on Union Street. I don’t think we appreciated at the time the level of damage which had occurred over years of neglect. The Capitol has been one of Aberdeen’s greatest landmarks for years and it was important that we did not compromise on quality, despite the market we were faced with. 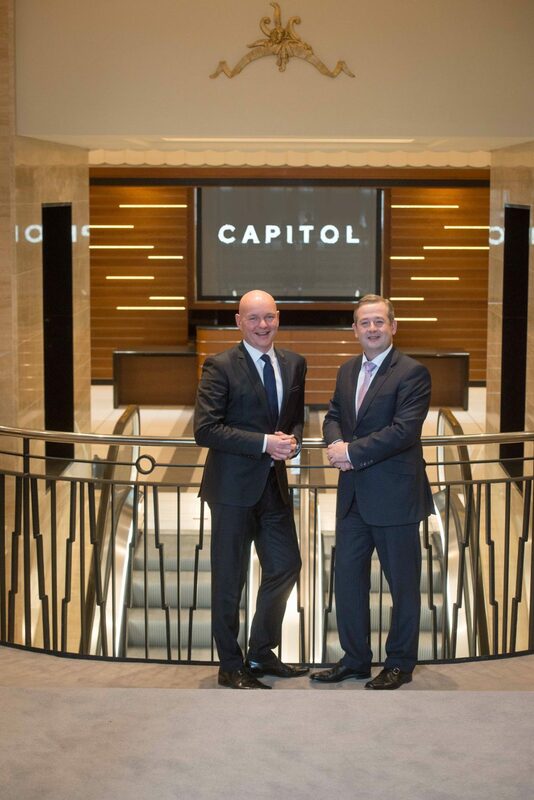 Despite the downturn in Aberdeen, The Capitol have overcome the challenges and the property is now home to two blue chip companies, Maclay Murray& Spens LLP and PwC, with Chrysaor scheduled to move to the building later this year having signed a 10 year lease on the property.